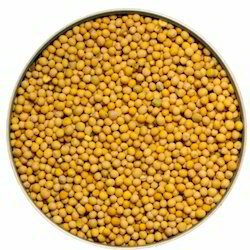 Leading Manufacturer of brown mustard seeds, yellow mustard seed and mustard seeds from Unjha. Brown Mustard Seeds such as Brissca Junice. Also known as Brassica Nigra, black mustard, Chinese mustard, and Indian mustard. Brassica integrifolia and Brassica juncea have similar taste and medicinal properties and are also sold as brown mustard. 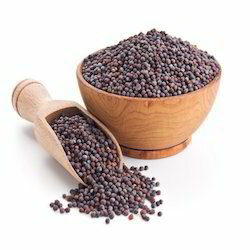 Mustard seeds have been used since time immemorial. Mustard seeds are one of the oldest known spices, having been used in China and Rome for thousands of years for cooking, and as condiments. They are used extensively in India, with the entire plant in general being important. The seeds have wonderful health benefits like lowering cholesterol, controlling diabetes, easing bronchitis, and preventing cervical and oral cancer. White Mustard: (Brassica alba or Brassica hirta) is a round hard seed, beige or straw coloured. Its light outer skin is removed before sale. With its milder flavour and good preservative qualities, this is the one that is most commonly used in ballpark mustard and in pickling. Black Mustard: (Brassica nigra) is a round hard seed, varying in colour from dark brown to black, smaller and much more pungent than the white. Brown Mustard: (Brassica juncea) is similar in size to the black variety and vary in colour from light to dark brown. It is more pungent than the white, less than the black. 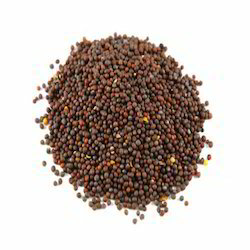 Backed by an adroit team of professionals, we are actively engaged in offering premium quality Mustard Seeds that are widely used for preparing a variety of dressings and sauces across the globe. Our experts process these seeds at their hygienically maintained processing unit with the aid of ultra-modern equipment and advanced technology. The offered seeds are widely demanded by our clients for delicious taste and rich nutritional content. Its nutty flavor is the reason why it is widely used for preparing a variety of dressings and sauces across the globe. The pungency of mustard grows when water is added to it. It can be reduced by heating it and hence is added towards the end of cooking.